If you are looking for the best WordPress CDN, you are probably on the right page at the moment. For those of you who aren’t much familiar with this term as of yet, CDN stands for Content Delivery Network which can speed up a website to a massive extent. I come across questions in some forums like Do I need a CDN? The answer is it depends. If the site traffic is lesser, CDN doesn't make a big difference. However, if your WordPress site is receiving good number of traffic, CDN is a must for blocking bots and also to speed up the webpages. In this article, we are going to share five of the best WordPress CDN Providers that can incredibly boost the speed of your WordPress website and make sure you read it until the end. A CDN combined with Fastest WordPress Hosting offers your customers an pleasant browsing experience. StackPath is undoubtedly one of the most widely used and best CDN for WordPress all over the world and in fact, it has proved to be massively effective as well. 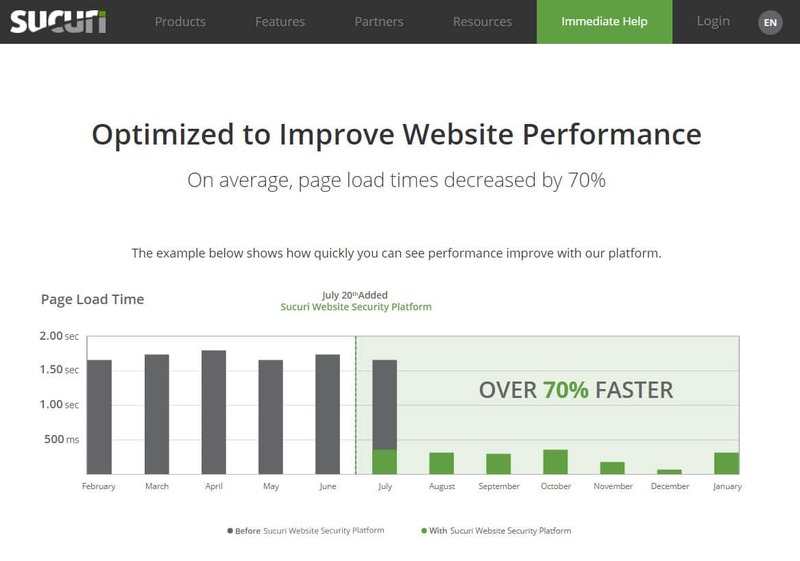 The lowest plan starts at $20/mo and the features are pretty powerful to help your website optimize in all aspects. It helps your website load incredibly faster by putting it on the global network. Furthermore, it protects your website from DDoS and SYN floods. The control panel has advanced features for developers. Most importantly, it keeps away all the abusive sites from your website by blocking them. Keycdn is another new yet powerful CDN Company and in fact, it has the most powerful features to help your website achieve high levels of security and performance. The lowest plan starts at $0.12/GB for Asia, $0.04/GB for Europe and North America and $0.16 /GB for Australia and South America. It can elevate your website speed massively by connecting it to the global network. Besides, it offers incredibly powerful features to ensure maximum protection of your website like protection against DDoS and protection against hotlinking of abusing sites. The CDN Company has experienced an increasing demand over the years from all over the world and this proves the effectiveness of this CDN Company. The customer support is extremely patient with the customers and also, the agents are extremely experienced and knowledgeable to resolve your issues in the shortest possible time. KeyCDN offers one of the best CDN plugin for WordPress sites, so the setup is really easy compared to other providers. 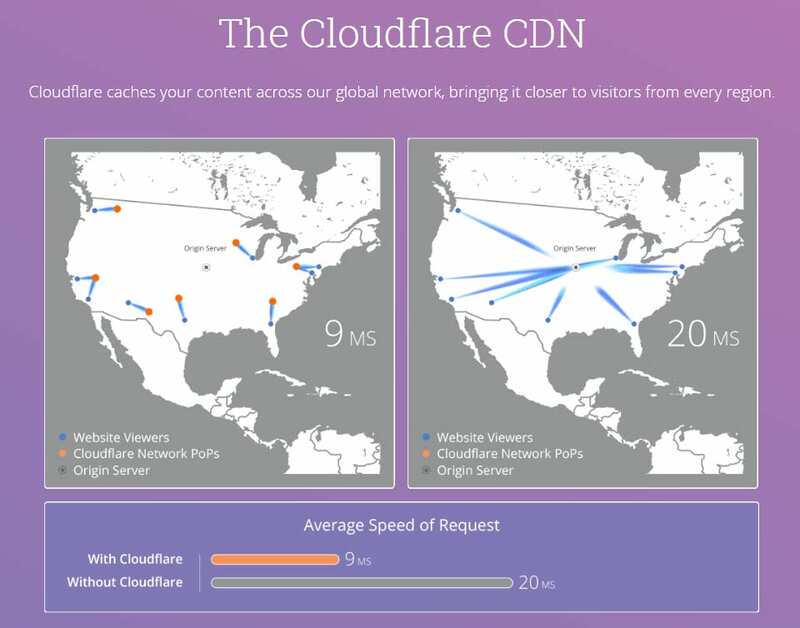 Cloudflare is undoubtedly the most popular CDN provider and in fact, it’s the CDN Company name that first crosses the mind for most of us whenever we think of CDN. The Company has done extremely well over the past many years. In fact, the Company has a huge contribution in making CDN popular among the people from all over the world. The lowest plan in Cloudflare starts at $20/month which comprises Web Application Firewall, image optimization option, mobile optimization option and space for 20-page rules. Besides, it is ridiculously easy to setup and deploy. Also, it can protect your website to a massive extent from all the external threats as horrific as a DDos attack. Most importantly, Cloudflare maintains a flat pricing with no hidden charges and this eventually, helped it attain to a very reliable position over the years. To install CDN, you don't need to hire developers, instead most hosting companies partnered with CloudFare, so if your company offers managed hosting services, raise a ticket and they will do the rest for you. On top that, with Cloudflare, the Best WordPress CDN, you always have an excellent customer support by your side to help you break out of every single technical difficulty in the quickest possible time. CloudFare is the only provider to offer free CDN for WordPress 2018. Incapsula is a bit expensive compared to the other top CDN for WordPress but every single penny you spend on it is worth it because it offers a wide range of powerful features, some of which you can’t possibly find with any other CDN provider. The CDN is believed to be the best in protecting a website against cyber threats. The pro plan starts at a price of $59/month. Interestingly, it is pretty fast in detecting and preventing every single attempt of intrusion. Its advanced caching method can get your page loading unimaginably fast. Most importantly, it ensures that the server's health is well maintained and it achieves it by loading the data across multiple data centres. The real-time dashboard is another powerful feature to monitor the overall performance of the website. The technical support is pretty prompt in assisting you each time you are caught up with some technical complexities. The Delaware Corporation, Sucuri was built especially for website security and the Sucuri teams are distributed over a dozen countries around the world. Sucuri was built to offer the most affordable cloud-based security and services to every website no matter what platform they belong to. The Company offers some powerful features to ensure high levels of website security. In fact, when it comes to website security, Sucuri stands first in line as most of its features emphasizes on website security more than anything else. With continuous scanning, firewall protection and security alerts, you absolutely have no reason to worry at all. A lot of users from all over the world has found this Company pretty effective when it comes to web security and perhaps, this is the reason behind the increasing demand of Sucuri over the past few years. Most importantly, it has the friendliest customer support to help you 24X7 with queries and issues. These were the 5 best WordPress CDN services to choose from for your website security and performance. However, we suggest that you give them all a try and you, of course, try them for free as all of them offer plans on trial version. This will eventually help you find the CDN of your choice and suitability. Nice Article. How you missed MaxCDN? MaxCDN is now StackPath, I added them on the list.